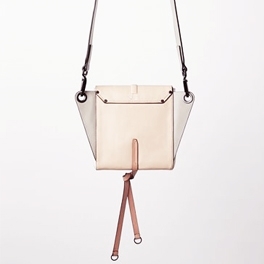 The Rag & Bone Aston Convertible Bag is my favorite style for summer 2015. This bag can be worn cross-body and high on your torso (pictured here) or around your waist - fannypack style! It is available in three color schemes; nougat multi, smoke and black. I remember seeing this bag on the Spring 2015 runway and thinking "I have to have that bag!" Visit www.rag-bone.com or www.neimanmarcus.com - retails for $595.